Investors were evidently thrilled with Titan Co. Ltd’s December quarter results announced last Friday. Its stock price hit a 52-week high on Monday, and ended the day 3.4% higher at₹1,025.75. The company’s mainstay jewellery business, which accounts for 85% of stand-alone revenue, saw an impressive 37% revenue growth year-on-year to ₹4,890 crore. With the December quarter revenue in the bag, analysts reckon Titan is poised to deliver its jewellery revenue growth guidance of about 22% for fiscal year 2019 (FY19). In fact, investors have been taking cognizance of the strong outlook for the jewellery business for some time now. Note that Titan’s shares have risen nearly 37% from their lows in October. During the September quarter earnings call, Titan’s management was upbeat about festive season sales, and it turns out its optimism wasn’t misplaced. Further, the pre-quarterly update released last month had alluded to a robust outlook for the jewellery business for the second half of FY19. Thanks to this backdrop, the stock has more than recovered losses seen earlier this year. 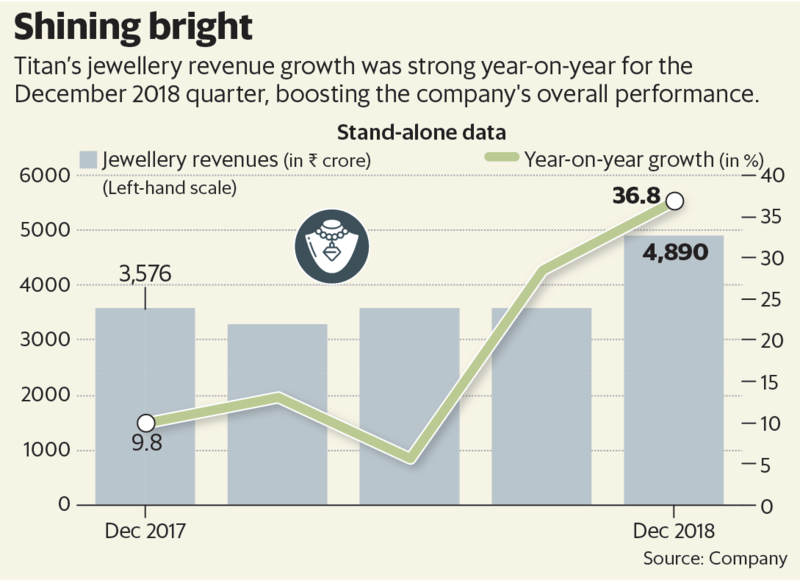 Coming back to the December quarter, the jewellery business did well owing to strong growth in both studded and plain categories. The plain category also benefited from a large institutional order of gold coins worth ₹200 crore. 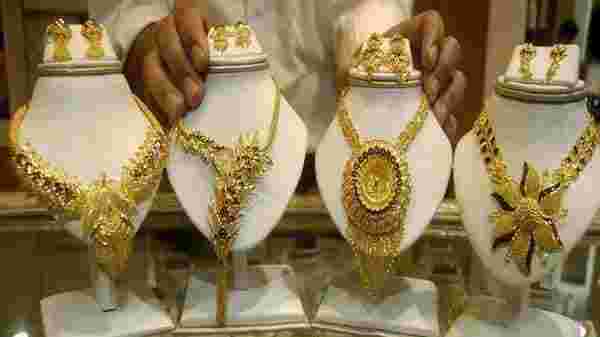 The jewellery business’s Ebit (earnings before interest and tax) margin came in at 13.3%, 250 basis points more than the year-ago period. The watch business saw a decent 19% year-on-year revenue growth. However, its Ebit margin fell by a steep 680 basis points year-on-year to 8.5% in the December quarter. That’s because of higher advertising spends to back the company’s new product launches. But this is a relatively small segment for Titan and the overall net profit increased 35% to ₹416 crore on the back of a 34% rise in revenues. Titan is one of the key beneficiaries of the anticipated shift to the formal market. As analysts from Kotak Institutional Equities point out, the company has done a great job at making the most of the market share gain opportunity presented by favourable externalities in the past couple of years. “Some of these externalities continue to sustain and strong performance should sustain for the next few years,” they added. But note that the stock trades at an expensive 50-times estimated earnings for the next fiscal year, based on Bloombergdata. This essentially means sharp upsides could be limited.